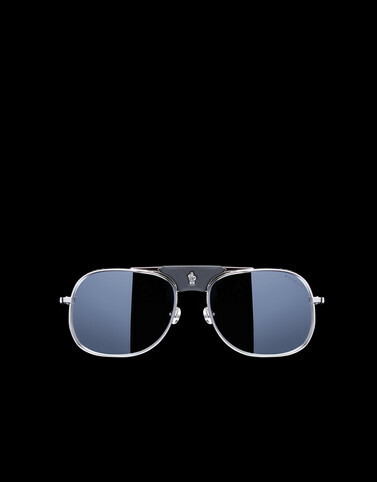 These men’s slim metal sunglasses clearly nod to the typical mountaineering style, now presented with an updated appeal. A special removable branded rubber insert on the double bridge and the brand’s Logomania print on the front’s thick profiles make these navigator sunglasses truly unique. The slim metal temples are complemented by rubber tips, for added comfort and grip. Lens size: 57 mm - 2.24"
Bridge: 17 mm - 0.67"